TXM Lean Solutions > Blog > Lean Leadership > Is Your Business Ready for Lean? We see many businesses that are facing big problems. Often there are major problems with flow (both in the office and the factory), long lead times, poor on time delivery and poor quality. Housekeeping and safety is often not up to standard and front line staff are disengaged. 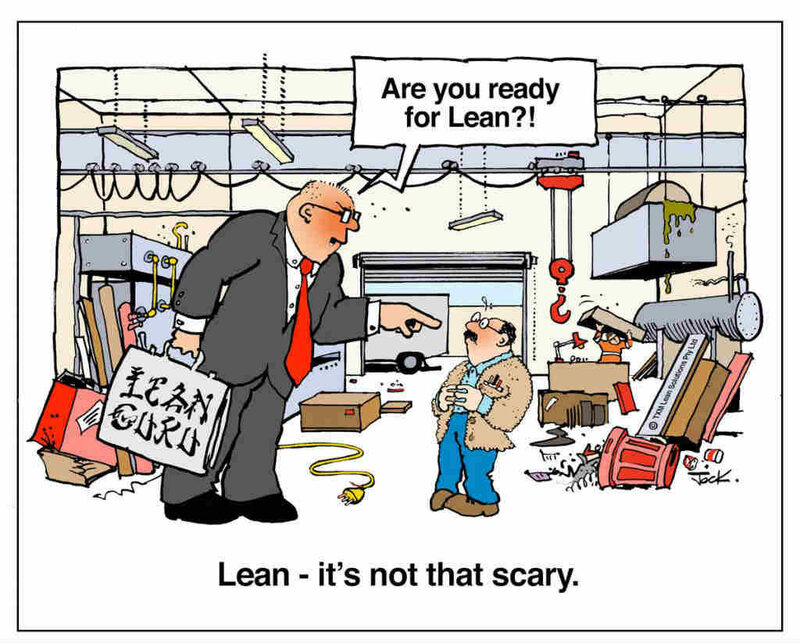 Sometimes the owners and managers of these businesses ask us whether they are really “ready for Lean”. Perhaps they should “work on the basics” before thinking about something “advanced” like Lean. In fact, the opposite is true, a well thought out Lean program will give you the “basics” of running an effective operation and help you overcome major issues in your business. In our experience of hundreds of companies over more than a decade, we have never come across a company that was “too bad to benefit from Lean”. Instead we often get involved in turnaround situations where businesses are in major financial and operational difficulty and used Lean principles to help them out of these difficulties. One of the key problems with Lean is the word “Lean”. It can mean literally anything. A common misconception is that Lean is about making companies more like Toyota. At TXM we have never attempted to make a company be like Toyota. Toyota is a unique company with unique products and a unique position in its market. Its systems are designed specifically for making and selling Toyota cars. Unfortunately many people are in thrall to Toyota and think that the goal of Lean is to emulate everything that Toyota does, including the gratuitous use of Japanese words that no-one understands (see my blog on Japanese words in Lean). When we are implementing Lean we are never trying to BE Toyota, instead we are trying to LEARN FROM Toyota. You need to take the principles and adapt them to the unique needs of your business. The goal is to make your business better. It is also good to remember that Toyota learned from somewhere too. They took ideas from Henry Ford, the US WWII armaments industry and a number of other sources and adapted them to suit their business. And they continue to do so. I like to say that Lean is in fact the culmination of around 200 years of thinking on best practice in manufacturing and process improvement. Often people seem to think that Lean is something you should only do after you have “fixed the basics”. In my view Lean is “the basics”. The techniques are simple and practical. Often Lean involves removing complexity and bureaucracy and simplifying the business. We get involved with businesses that are sometimes in a huge mess. Some of our past customers have faced bankruptcy or large scale loss of customers due to poor performance. If these businesses were “ready for Lean” I can assure you that your business is to! Many of us have read books like “Lean Thinking” or “The Toyota Way” or had the privilege to visit Toyota plants or their supplier operations and seen Lean in operation. The challenge is adapting these ideas to your businesses. To fill this gap a whole industry of consultants and trainers have sprung up, of which TXM is one of many. 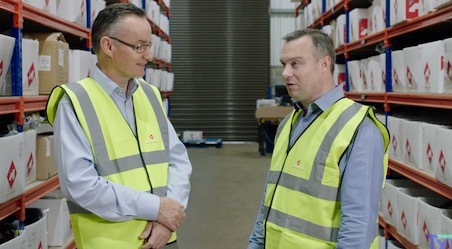 These consultants have then had to work out what they believe is the best way to interpret the Lean approach and to transfer this knowledge to the customer so that they can improve their business. Deployment approaches that focus on building stability and Lean foundations before they fix the customers’ fundamental problem. Unfortunately few customers have the time to put their problems on hold while they focus on “building foundations”. At TXM we aim to build Lean foundations at the same time as we address the core process issues. The “train everyone first” approach. While this is a great revenue generator for consultants and trainers, putting everyone through Lean training is a very inefficient way to instil Lean knowledge. It also delays improvement while everyone gets trained. Mass training also often fails to address leadership and cultural barriers that might prevent employees from applying the training they have undergone. Adults learn best through action and therefore we believe training comes through implementation, not before. Overly bureaucratic approaches. Some consultants and trainers turn Lean in to a form filling (or iPad box ticking) exercise with complicated checklists and diagnostics. These approaches are resource hungry and usually don’t address the core problem. Perfectionism and Elitism. This is the “real Lean” brigade. Expect lots of Japanese words and lots of time focusing on minute detail. At one of our customers a Toyota consultant spent six months just getting them to perfect the finer points of their A3 plan. This is laudable, but left the customer highly frustrated and critical issues with product flow and productivity were not addressed. At TXM we like to say “never let perfection get in the way of better”. If you are a business that has real problems, limited resources and no time to waste, none of the above approaches are going to work for you. It would be fair to say that you would not be ready for that kind of Lean. At TXM we start by understanding what is the core business issue and target our Lean solution at that issue. I believe that when we are successful in helping a customer overcome their core problems in lead time, quality, productivity or staff engagement, then we have no problem with that customer understanding Lean or believing in its benefits. In other words, the best way to get people to adapt and sustain Lean is to show them results in their business. Frankly I don’t really care whether customers even call the systems we put in place Lean. It is enough that these systems and processes deliver better outcomes and fire a passion for continuous improvement in the business. There are some situations where embarking on a Lean program will not be the right step for your business. If your business has major differences over strategic direction, it is best that these are resolved first before you embark on your Lean program. Ideally the direction of your Lean program should be driven by your strategy. This is difficult to do if you don’t have an agreed strategy. Obviously if your main problems are not with your internal processes and culture then improving this area may not be your top priority. You might need to focus on sales and marketing first for example. Some major changes can also mean that it is not the right time for your business to start a Lean program. For example if you are in the midst of being acquired or have major senior leadership changes planned or underway, it is best to let these issues settle. Otherwise the Lean program will not get much focus. Sometimes as well you may be committed to other priorities or projects and lack the resources to dedicate to a Lean program. For example, Quality System implementation, ERP implementation or a major factory upgrade often call on the same resources that are needed to lead a Lean implementation. I would argue that the benefits from a well designed and run Lean program will be greater than any of those other initiatives. However, if you have committed already to one or more of those other projects it may be difficult to get your key staff to focus on Lean as well. If your factory is a complete mess, you are struggling with ineffective internal processes, your people are not stepping up and taking accountability, your customers are frustrated with your delivery and your quality, then you are definitely ready for Lean – right now. Every day that you delay is another day when things will just get worse! And of course, if things are not that bad, you will always have room to improve. You never get to the end of your Lean journey.